Clothes should be worn. They should be used. They become more personal, more distinctive and more beautiful – for me – when they have been worn lovingly for years. One of the reasons I have always identified with Anderson & Sheppard is that old saying that the suits should never look new when they are walked out the door. 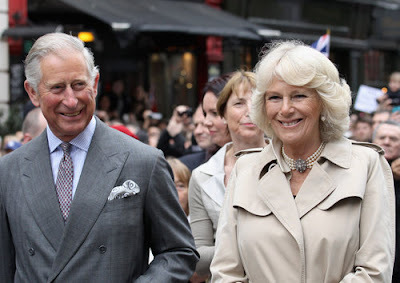 Prince Charles, pictured during the recent Diamond Jubilee celebrations for his mother, is a perfect embodiment of that philosophy. Not only does he wear Mr Hitchcock’s double breasteds, but he always prefers to darn, patch or otherwise repair his clothes rather than buy new ones. There is a box of old cloth under Mr Hitchcock’s cutting board with just that purpose in mind. One of the key reasons I believe well-worn clothes look better on everybody is that the wearer is inevitably more comfortable in them. You never look stylish when you are conscious of what you’re wearing. This leads to several conclusions. First, invest in clothes that are good enough to last a long time. Cheap clothes come and go. You rarely develop the same connection with them as with something that has worn with you over several periods of your life. Second, don’t acquire too much. I know it’s a wonderful position to be in, but I know I have too many shoes. Even with a rigorous policy of giving away or selling old pairs, I have too many shoes. It is noticeable that the newer pairs take a lot longer to acquire character, because they are not worn as much or polished as often. They will probably never catch up. When you get more money, buy better shoes, not more shoes. Third, look after clothes well and pay to have them repaired. Few stains can’t come out of a shirt if dealt with quickly. They can be taken in and out (to an extent) as you lose and gain weight. Treasure the frayed collar or cuff as signs of your connection to that cloth – don’t wear that shirt to a job interview, but be aware of how good it looks with your old denim and worn-in brogues at the weekend. This is age-worn, old-money style. At some point you will have enough clothes. That’s ok. Like gradually filling up your house with good-quality furniture, your consumption will inevitably slow. Spend the money on something else. Your kids perhaps. The consumerist urge will fade, and give way to a far richer, more rewarding period in your life filled with easy, simple elegance. Beautiful colour and pattern mixing from the Prince, by the way. You can follow the discussion on Clothes should be worn by entering your email address in the box below. You will then receive an email every time a new comment is added. These will also contain a link to a page where you can stop the alerts, and remove all of your related data from the site. A few years ago I had the great pleasure of taking tea at Highgrove House with the Prince of Wales. I spent more than two hours in his private company on that occasion and I was amused to observe that the collar of his shirt was frayed along the edges that touch the necktie, but not at the neck. I took many notes of his fashion quirks that day but that’s the only one I’ll offer here. Fantastic post Simon, beautifully written. I follow you religiously and derive great enjoyment out of your reviews and advice. Thank you so much for this very thoughtful post! I really enjoyed reading it! What a wonderful thing to have Permanent Style out there! An apt conclusion, no matter what the circumstances. Well put. Good post indeed. One question for you- If one doesn’t look stylish if one is conscious of what one is wearing- which i don’t disagree with- why do the VERY conscious of what they wear Italians at Pitti look so darned good? Refreshing to hear this kind of commentary on men’s clothing. SJK, I think they look great in the moment, in situ, in that place. But if you had a colleague who dressed like that every day, and one who was much more understated and personal in what he wore, I think it would only take you a few days to decide which was more stylish. Thanks Simon for keeping this fantastic blog going. This is why I love Simon Crompton – he writes so bloody well. Top man! I fully agree with you Simon, very wise words. I love the feel of old favourites ~ I have a bespoke double breasted jacket I had made for my 30th ~ I’m just about to celebrate my 58th and will wear the jacket out to dinner ~ funny this every time I wear it someone will comment on the cut and how well it fits! I’m beginning to discover this, Simon, the pleasure of older, well-kept clothes that were bought as an investment: for instance, a traditional SB navy wool / cashmere overcoat (hidden buttons) bought for me by my parents when I was 17, that wasn’t worn much, is now paying dividends – very comfortable now that I’m 45 and wearing it to the office. Also, my 6 ft 3 inch brother’s Barbour (Beaufort) that is too small for him is perfect for me, and it’s had the hell beaten out of it, looks wonderful and is very comfortable. The wearers of the new Barbours are jealous.